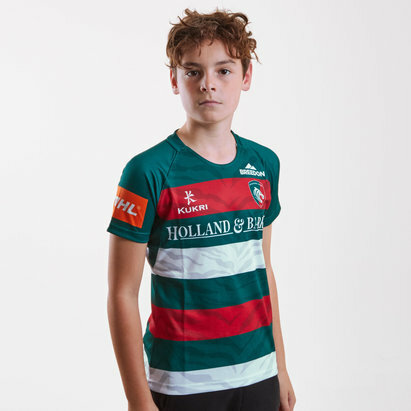 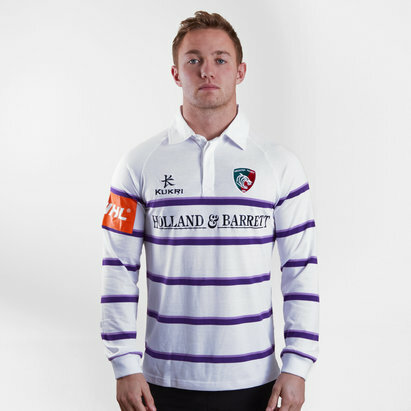 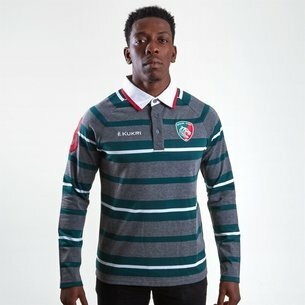 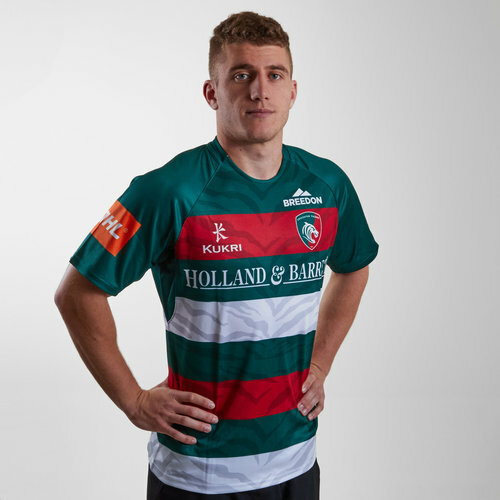 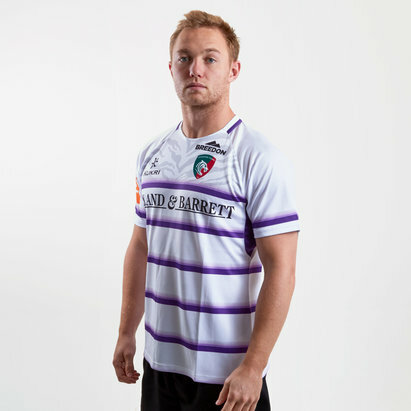 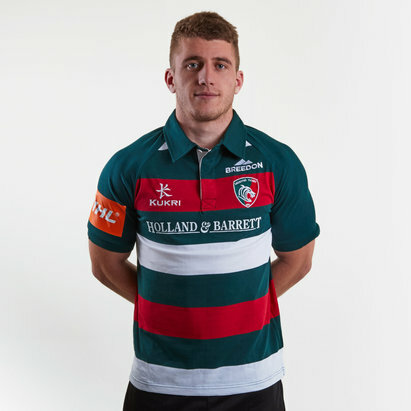 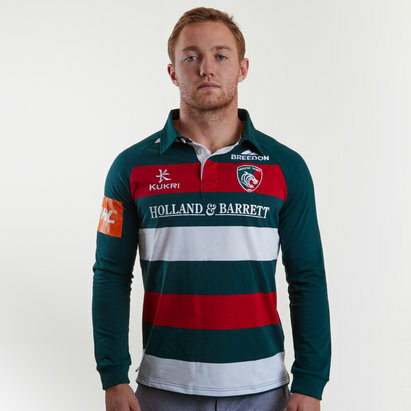 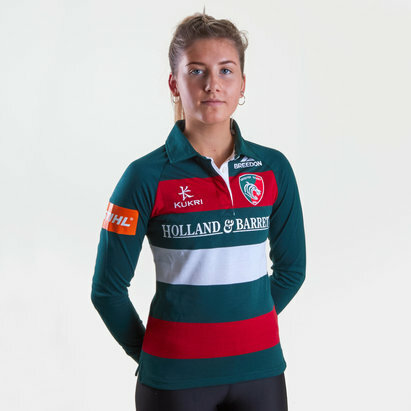 Display the Tigers badge with pride when you wear this Leicester Tigers 18/19 Home S/S Replica Rugby Shirt from Kukri. 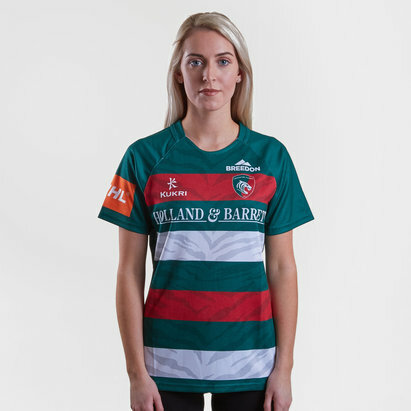 This shirt sees a full return to the classic hoops that Leicester are famous for wearing. 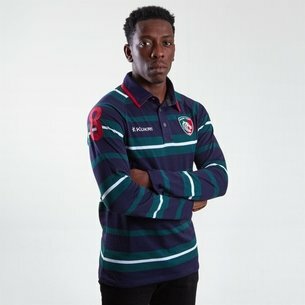 The shirt is dark green and sports thick red and white hoops alongside the green meaning this jersey is as close to a classic that modern shirts can get now. 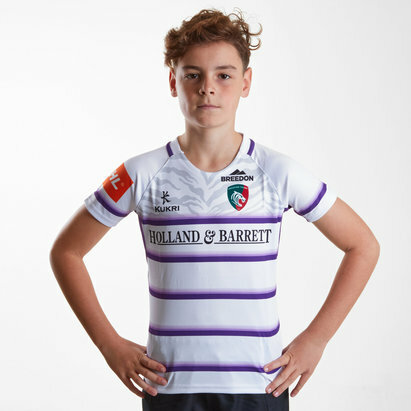 The club badge and Kukri logo are on the left and right as worn, respectively. 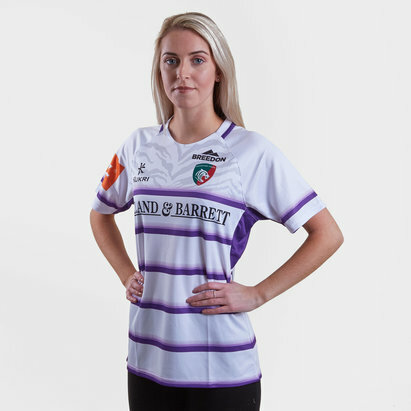 The club's sponsor - Holland and Barrett - is printed across the chest.